Located in North West Lubbock, Stone Creek is a pristine location for holding weddings and celebrity parties. However, the center is more than a location for hosting events as it also specializes in the planning of weddings and other occasions. 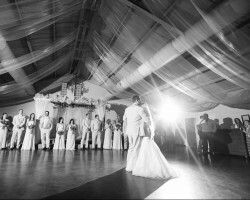 They cater to clients’ every need from the music, catering, reception, to photography. Being an exquisite location for weddings, Stone Creek is more than capable of hosting large outdoor ceremonies as well as small indoor affairs on budget. Founded by the professional event organizer, Norman Nash, Elegant Events is a company that has been in the event planning industry for almost two decades. The company has handled countless weddings from small family affairs to large and extravagant banquets. The firm’s clients find the company’s catering services to be impeccable. In addition to catering, the company also handles the invitations, DJ services, photography as well as decor. Apart from serving the people of Lubbock, they also serve Dallas, San Antonio, Austin, Amarillo and the whole of West Texas. Diane’s Bridal & Quinceañera is one of the best planning companies in Lubbock. With 16 years worth of experience in the event planning business, this company has been involved in the planning of numerous occasions, weddings included. In this regard, there is no decor job or catering need that’s too big or too small for Diane’s Bridal. 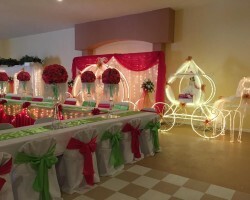 They can offer every kind of decor theme from small table decorations to large colonnades. Certified event coordinator and consultant, Jill Leven is the owner of Eat, Drink and be Marry. This is a local company that specializes in the planning of all kinds of ceremonies. The company has professional Lubbock wedding planners who are committed to the specific needs of each client. 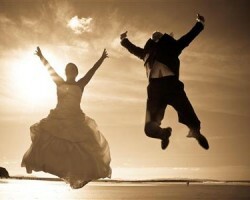 In essence, the company helps couples escape the stress associated with planning a wedding or an anniversary. In addition to serving Lubbock, the company also serves the large South Plains area. 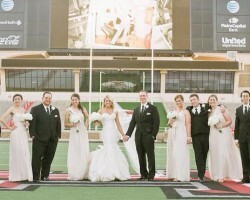 Wed it be is among the top wedding planners in Lubbock, TX. The company is focused on making every ceremony it is involved in, planned with great care. As such, the firm offers a wide selection of services all designed to make every special occasion truly special. In addition to being a versatile wedding planning company, wed it be offers affordable packages to suit the budgetary needs of different clients. Also, the company specializes in the planning of destination weddings.